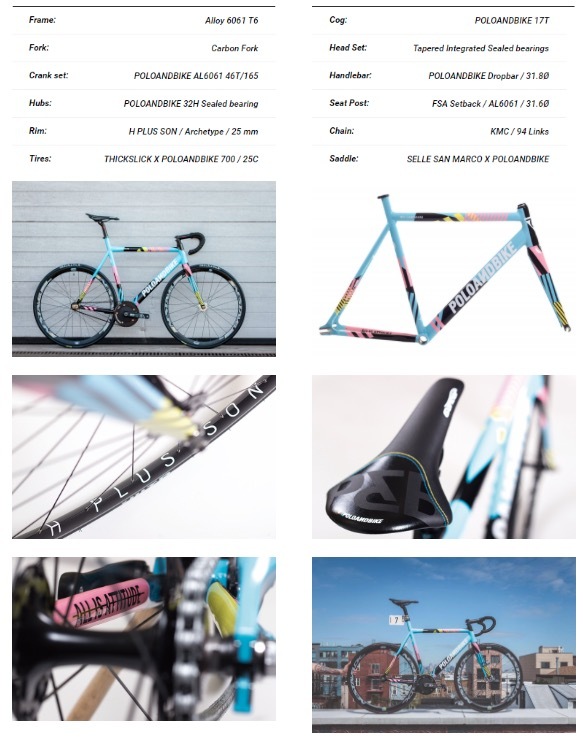 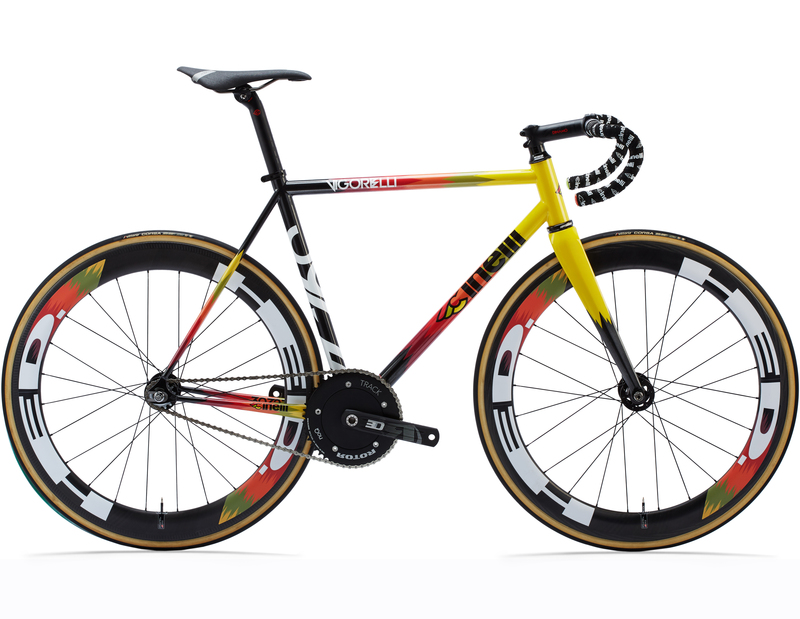 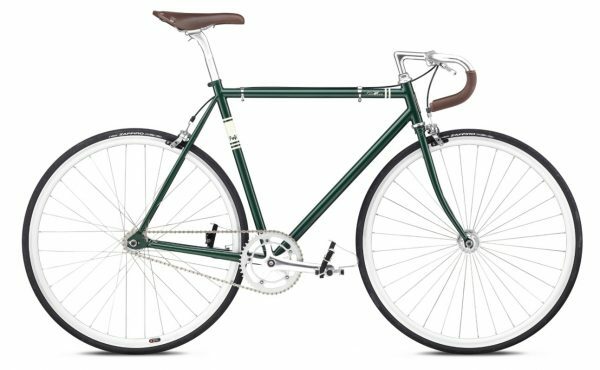 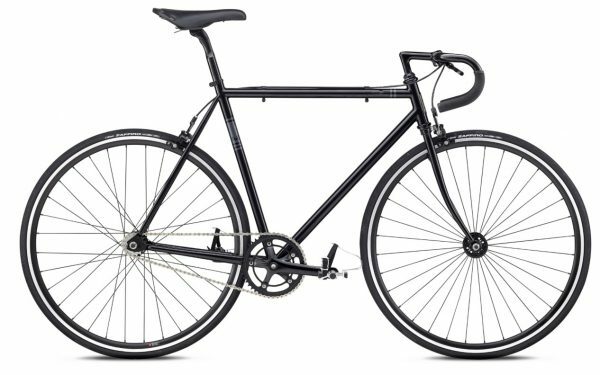 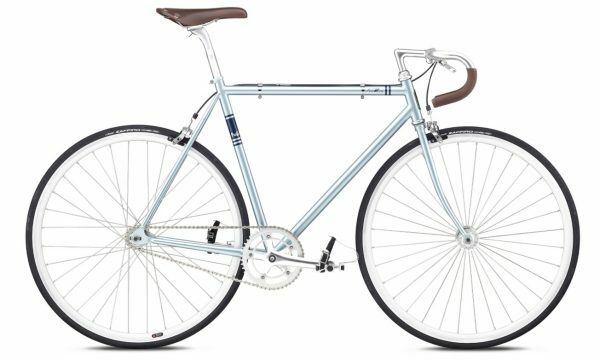 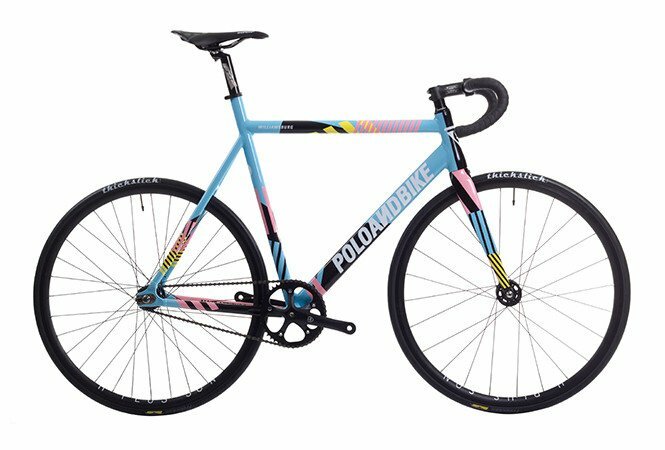 Fuji Feather 2018 Singlespeed / Fixed Gear / Track Bike – Chromoly Steel Frame. 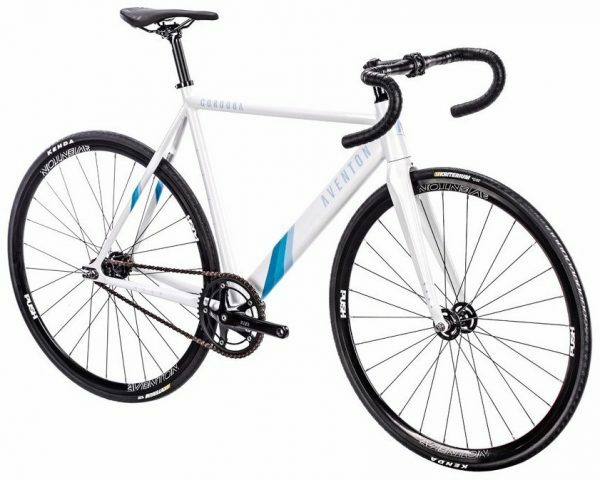 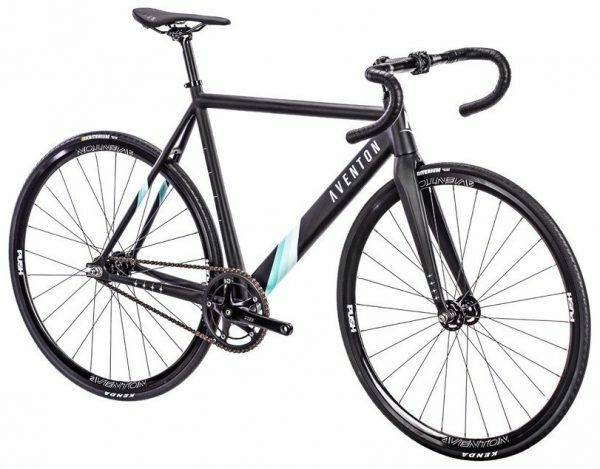 The Unknown Bike Singularity is the evolution of the popular fixed gear LV2 frame, and now it is available as a complete bike. 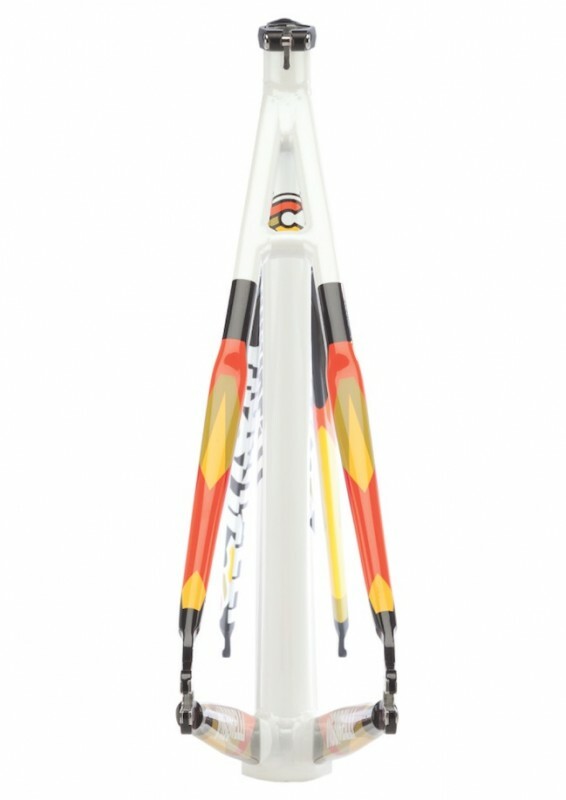 The Singularity incorporates a modern tube set along with an update geometry to be the ultimate race machine. 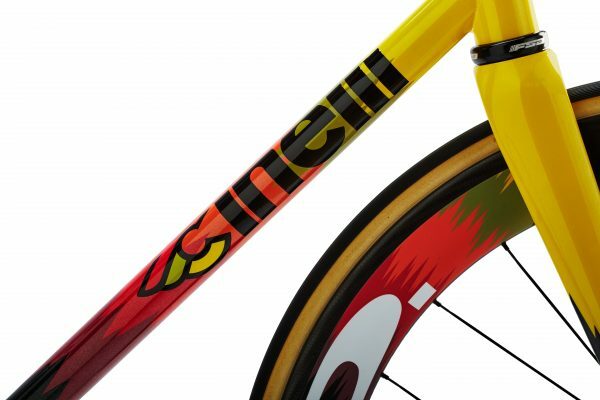 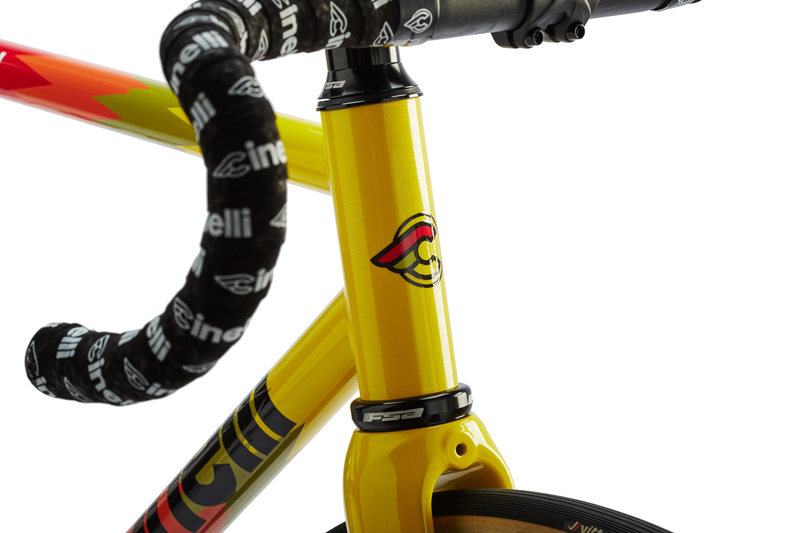 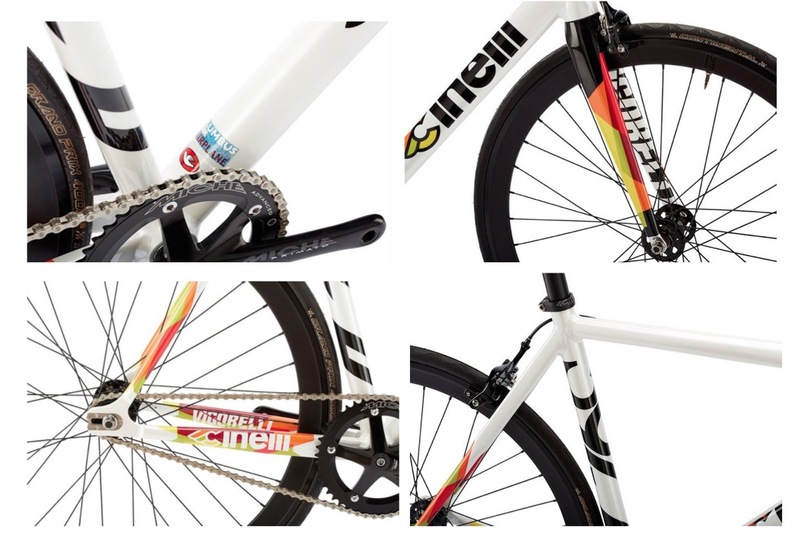 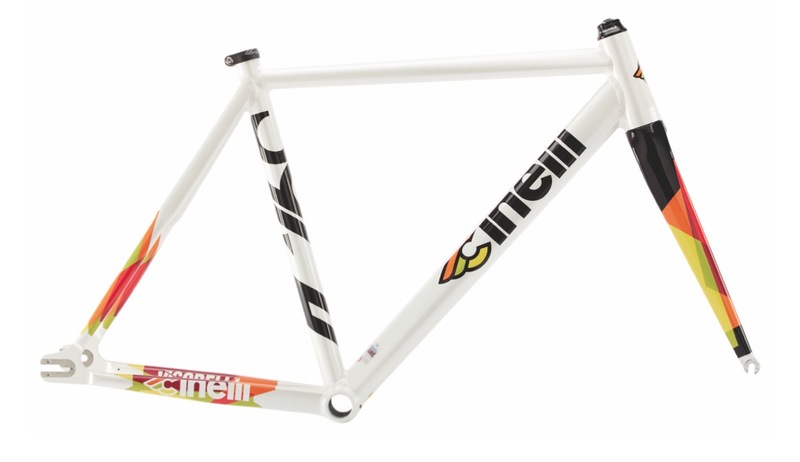 This track oriented frame now includes an integrated aero seatpost and carbon /alloy fork along with other quality components. 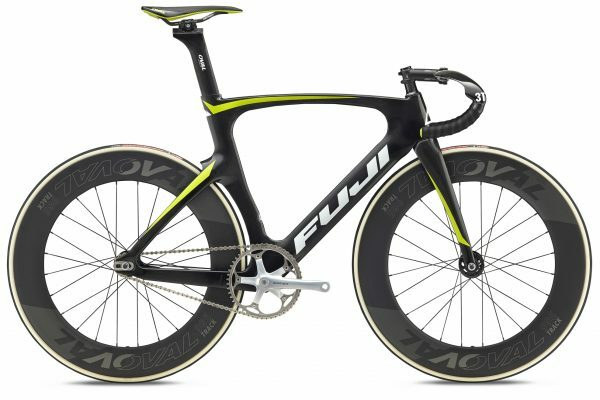 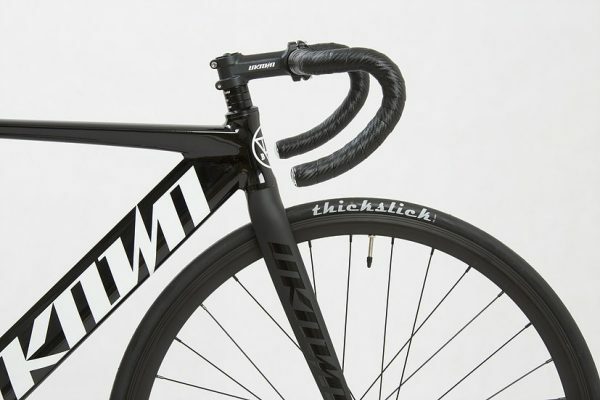 This is a huge step for Unknown Bikes… and you. 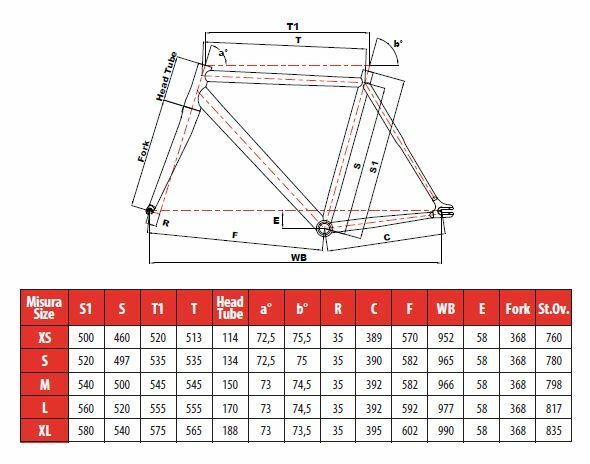 Unknown Bicycles Singularity Frame is made of high-grade, hardened Aluminum 6066 T6. The fork is our Carbon (12K) with 1 1/8” aluminum neck and features a 30mm rake. 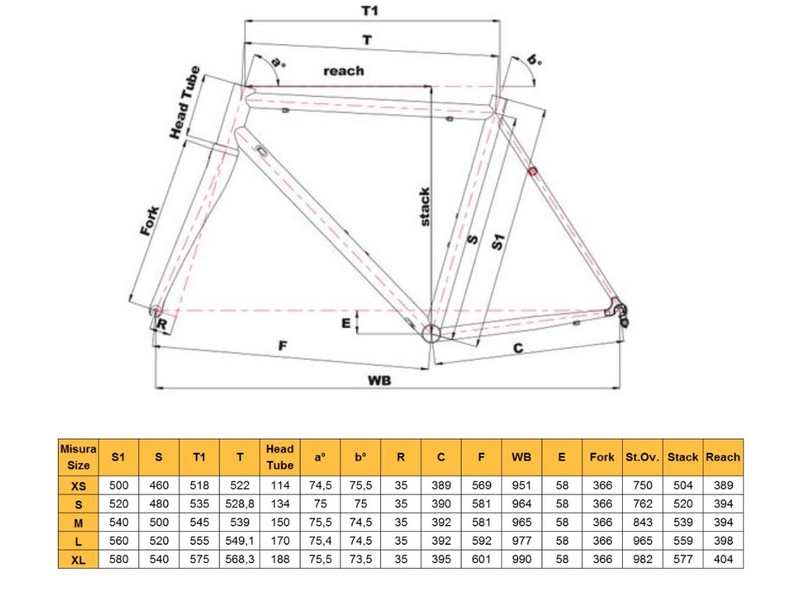 The headset is an integrated SB, 45×45. 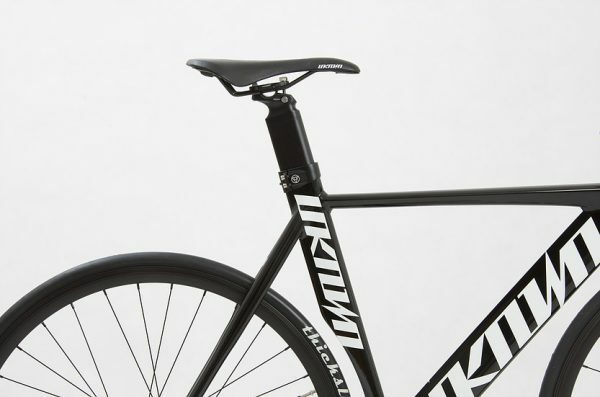 The fixed gear bike frame uses a 90mm stem and Unknown Compact420mm handlebars. 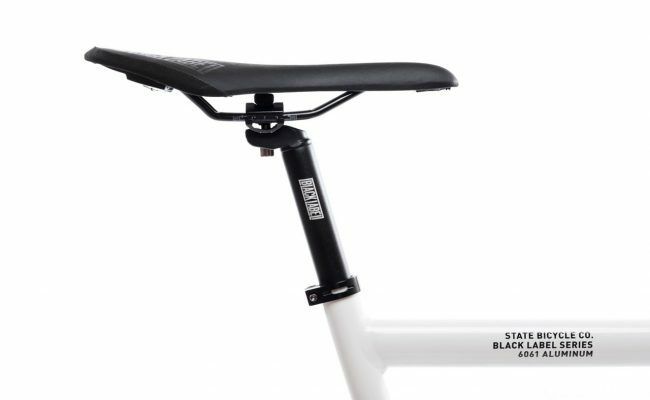 Included brake levers are ZST single speed with our Unknown brake set. 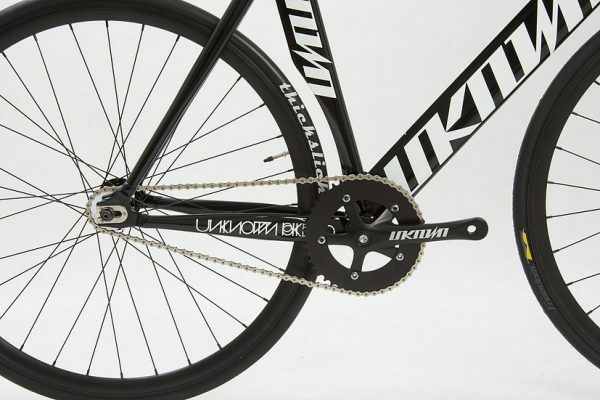 The chain arm is 165mm and 130 BCD. 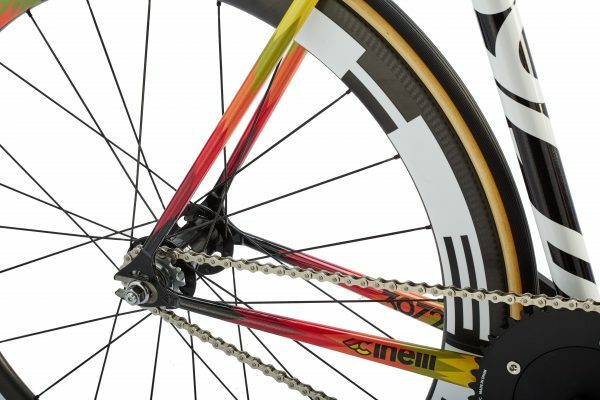 The chain wheel is our Unknown 48 tooth, 130 BCD, at 0.5 x 1.125”. 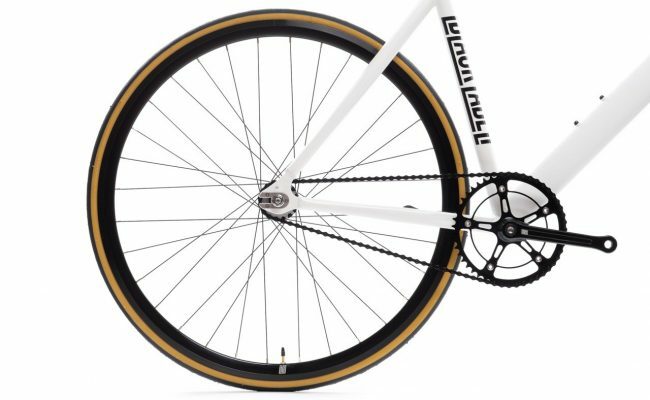 The rear cog has 17 teeth. 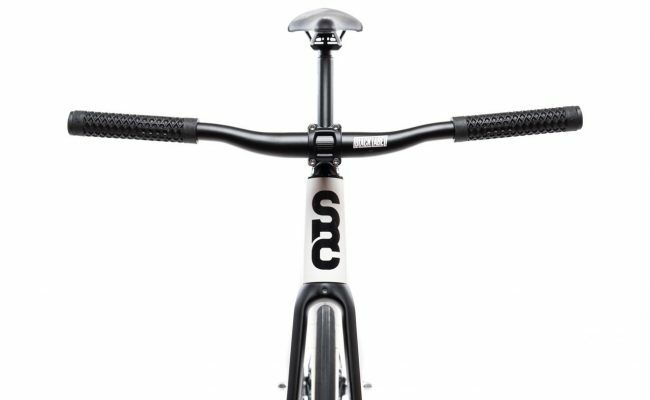 The seat post and saddle are made by us at Unknown while the tires are WTB Freedom ThickSlick 23c. 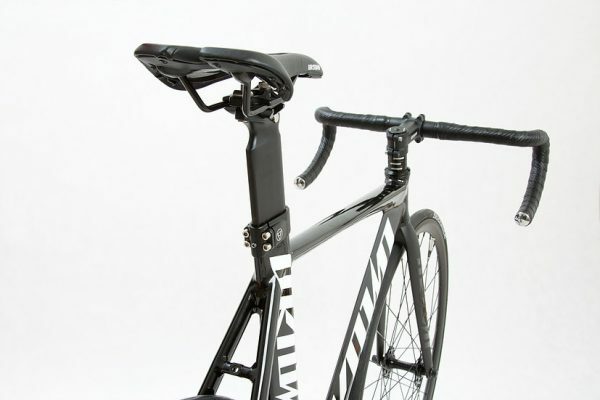 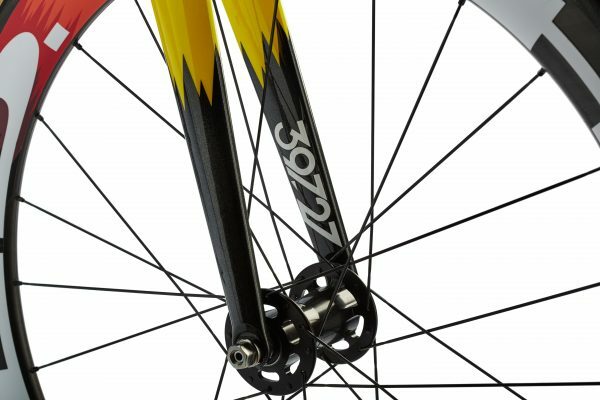 The seat post measures 27.2mm x 300 mm with a 22mm offset. 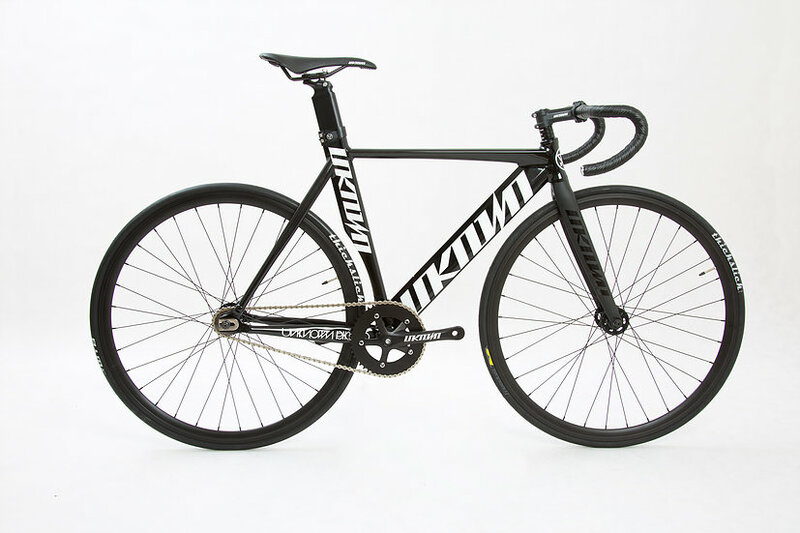 Included rims are Unknown fixed gear 28d rims. 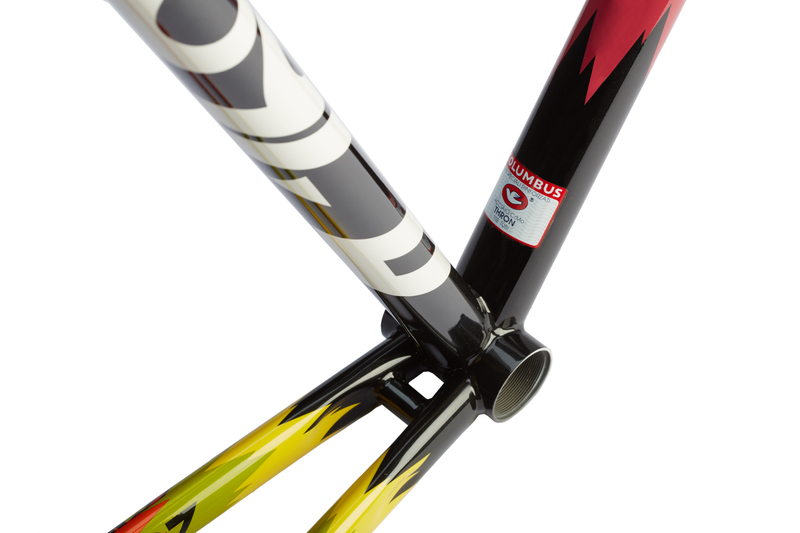 The bottom bracket is 68x103mm, BSA with a Square tapper. Complete fixed gear bike is shipped with dropbars and brakes. 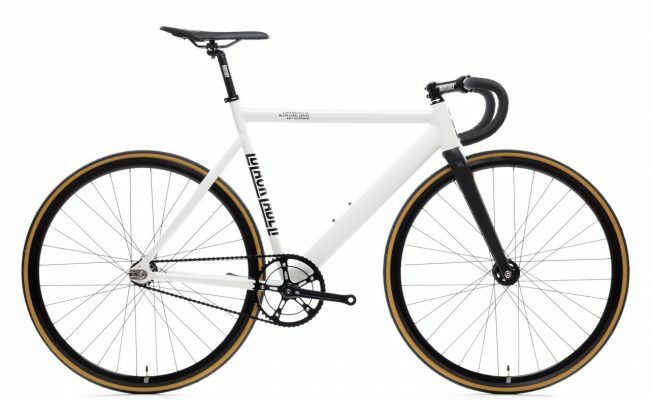 Velodrom / Radrennbahn Augsburg, das Wintertraining geht wieder los ! 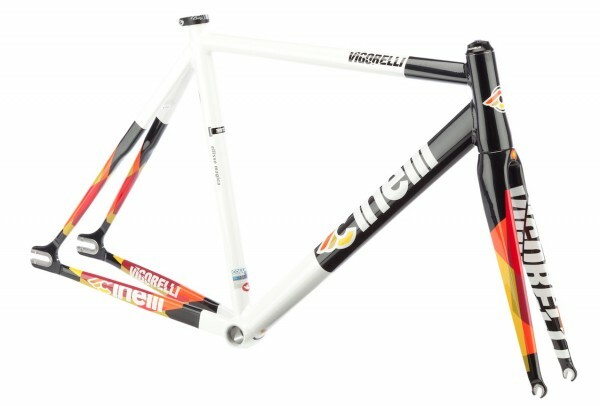 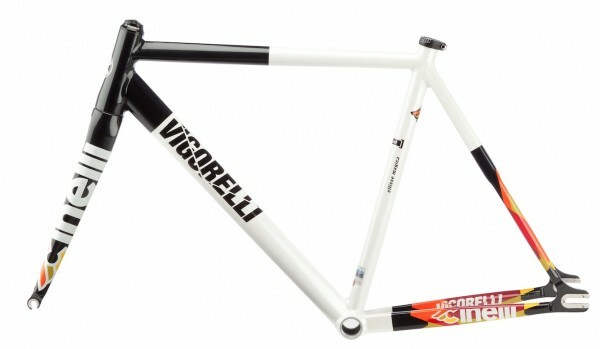 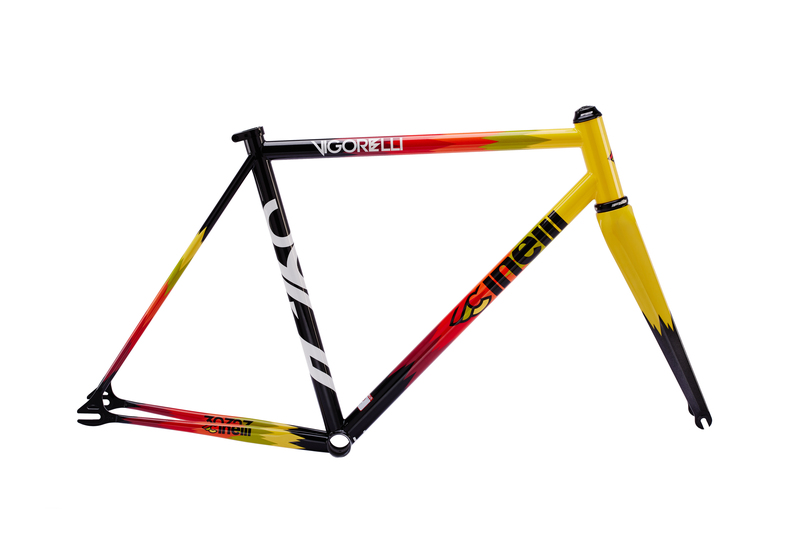 You can preorder the new Vigorelli HSL now. 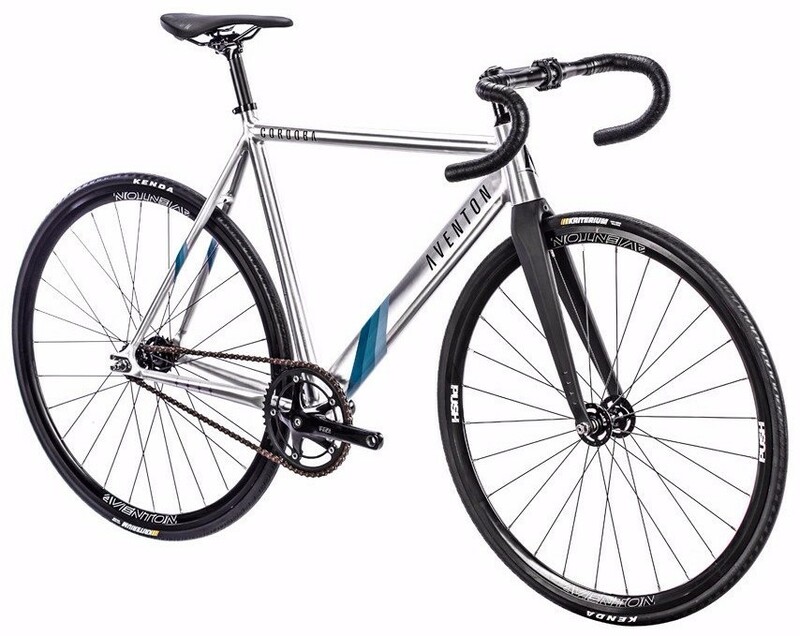 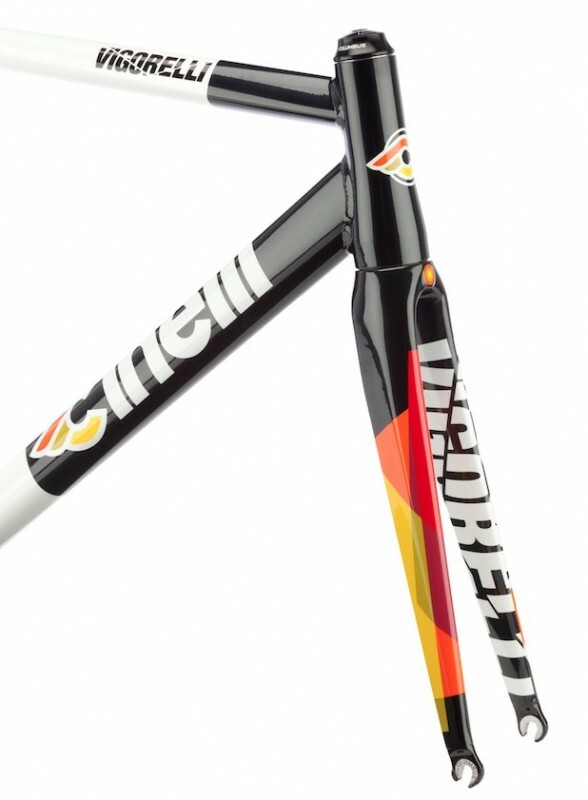 The Framesets will be available mid september.